Produce sharp, high-impact output from line drawings to posters. 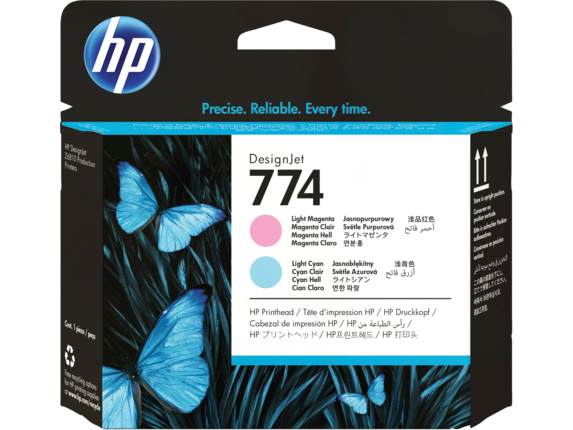 Help maximize the life of your HP printheads by using Original HP Vivid Photo Inks. Enjoy simple, convenient printing and get day-one image quality with user-replaceable printheads. Until the “Warranty Ends” date has been reached or the warranted usage limit has been reached, whichever occurs first. 1 Visit http://www.hp.com/recycle to see how to participate and for HP Planet Partners program features and availability; program may not be available in your area. Where this program is not available, and for other consumables not included in the program, consult the Material Safety Data Sheet (MSDS) available at http://www.hp.com/go/ecodata to determine appropriate disposal.